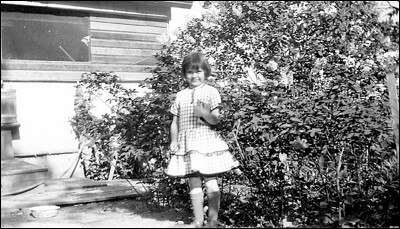 My mother, Fredene Ama Daugherty, on her first day at Independence School near Phoenix, Oregon in 1927. My mother, my brother and I had the same first grade teacher, Frances Weaver. At her 103rd birthday party, Frances announced in a spirited voice, "I can remember the name of every student I ever taught!" And no one doubted that she could.